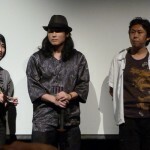 The New York premiere of “Yakuza Weapon” on July 9 at the Japan Society welcomed four guests from the film: co-directors Tak Sakaguchi (坂口 拓) and Yudai Yamaguchi (山口 雄大); producer Yoshinori Chiba; and actor Arata Yamanaka. 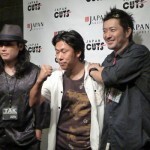 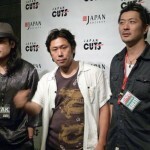 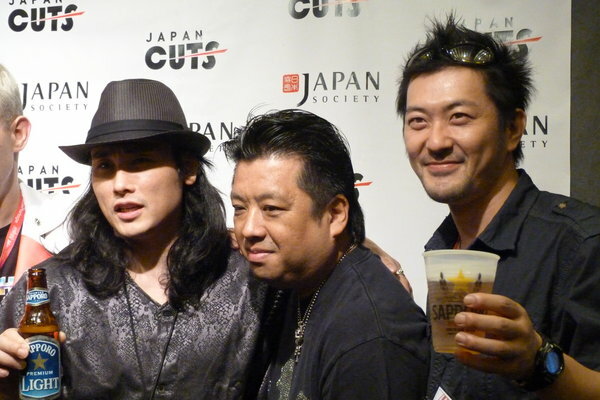 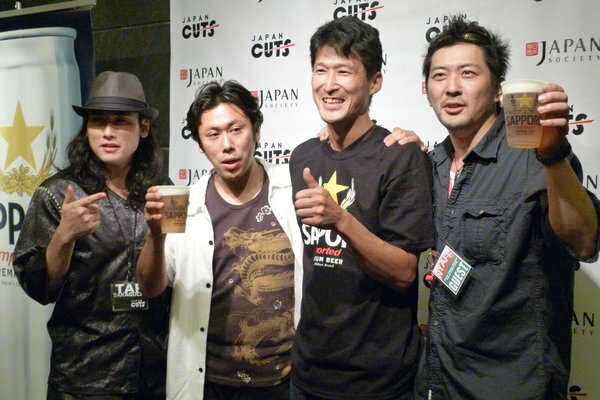 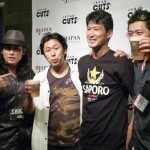 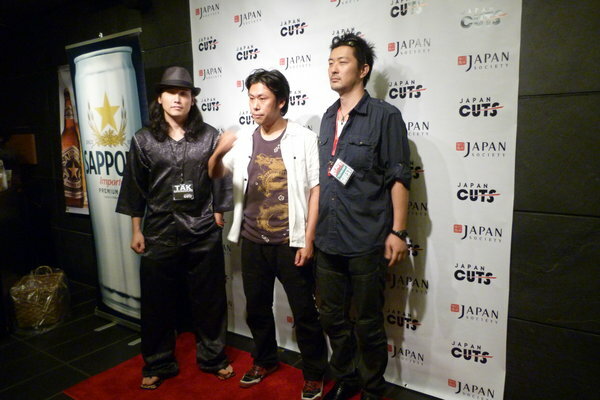 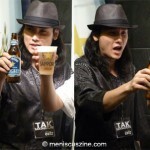 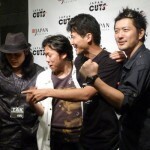 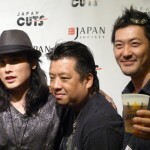 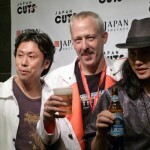 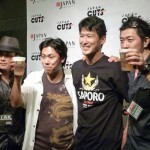 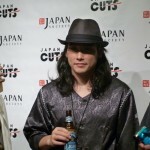 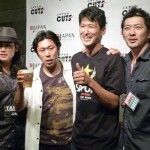 The film, which opens in Japan on July 23, is a co-presentation of the 2011 New York Asian Film Festival and Japan Cuts. 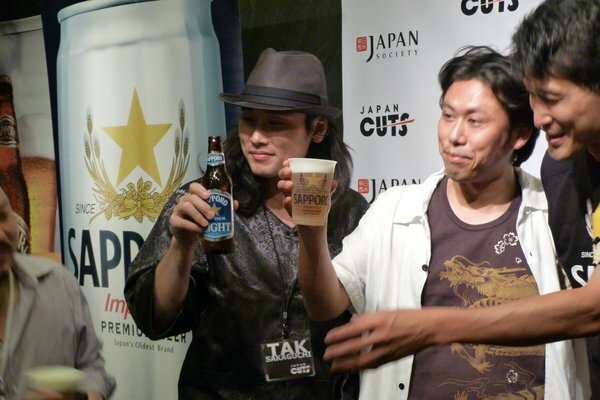 It’s the latest offering by Sushi Typhoon, the company founded last year by Chiba and which boasts Sakaguchi, Yamaguchi, and directors Takashi Miike and Sion Sono, among others. 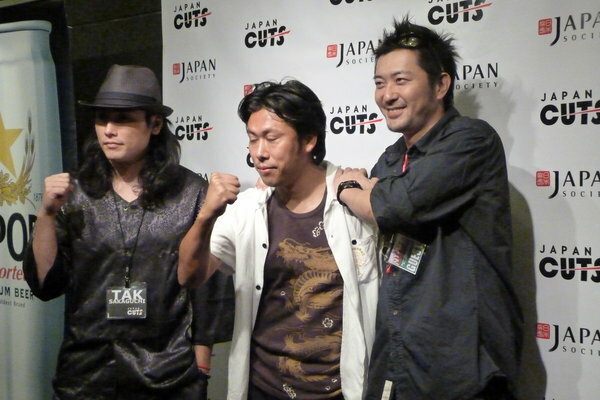 Of course, this means that the flick is full of violence, gore, blood, fists, explosions, insane machinery, even more insane characters, political incorrectness and other craziness that is better seen than described. 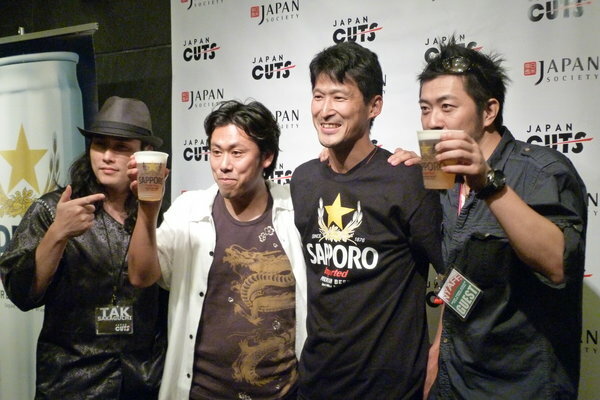 In a nutshell, Sakaguchi doubles as the lead actor, and as Shozo, he’s a numbskull son of an assassinated yakuza boss who returns to Japan after several years away, only to find the leadership baton passed to a rival family. 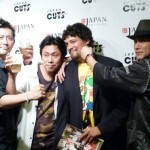 Shozo’s quest for revenge is littered with all sorts of obstacles, including his drugged-up former best friend, his ticked off girlfriend, the psychotic new yakuza boss and his hissing mop-haired assistant, a naked female shooting machine played by Cay Izumi, and a gaggle of foreign mercenaries and killer nurses. 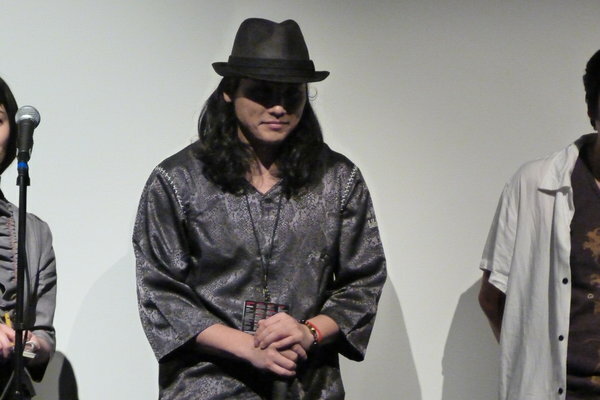 Avenging his father’s death takes his toll, however, and thanks to some nifty surgical procedures to Shozo’s severed limbs authorized by a government operative (played by Yamanaka), he receives a retractable M61 Vulcan cannon for an arm and a rocket launcher for a knee. 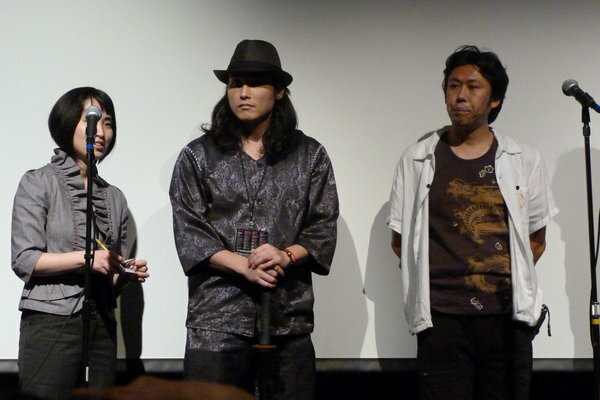 Now literally armed, Shozo combines fists with weapons to continue his mission, this time as a “yakuza weapon.” Even if spraying blood and severed heads isn’t your cup of tea, viewers will not want to miss the highlight of the film: a four-minute fight sequence where Sakaguchi puts the weapons away and knocks down opponent after opponent in one single take. 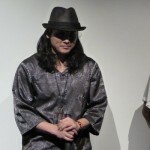 Sakaguchi said in the post-screening question-and-answer session that the four-minute fight sequence hadn’t even been rehearsed in full until an hour before shooting, then joked that it perhaps could have been much better had they three months and the budget of Tony Jaa’s “Tom Yum Goong.” He and Yamaguchi also talked about the manga that inspired “Yakuza Weapon,” the cigarettes that his character Shozo smoked in the film and much more. 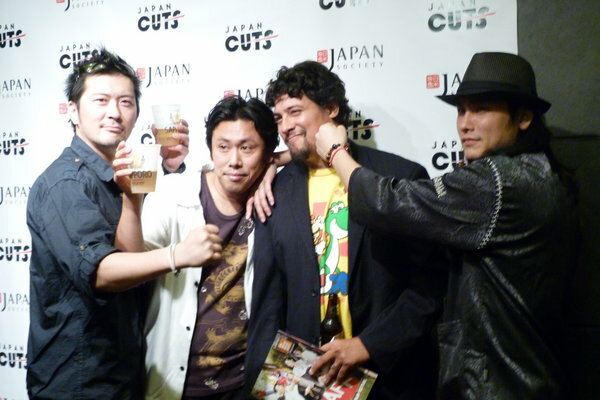 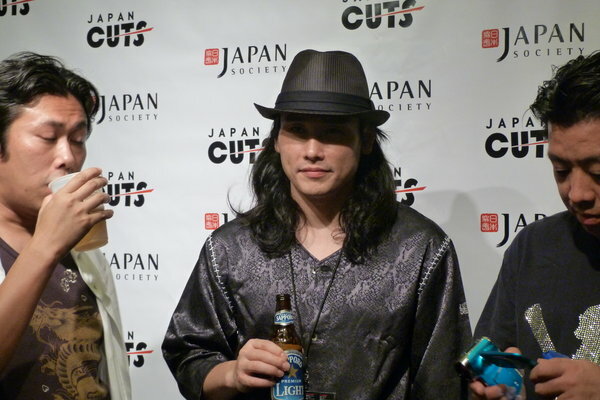 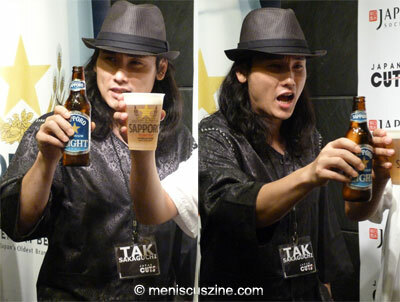 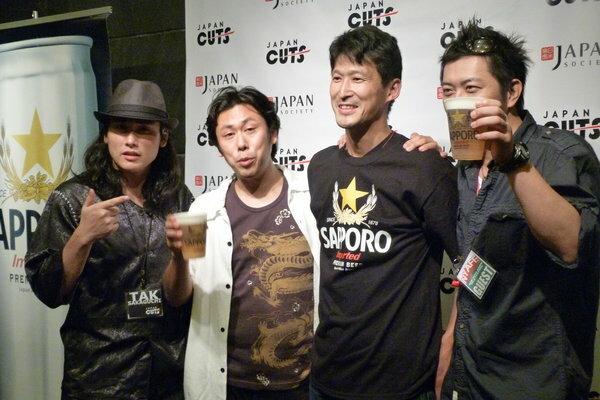 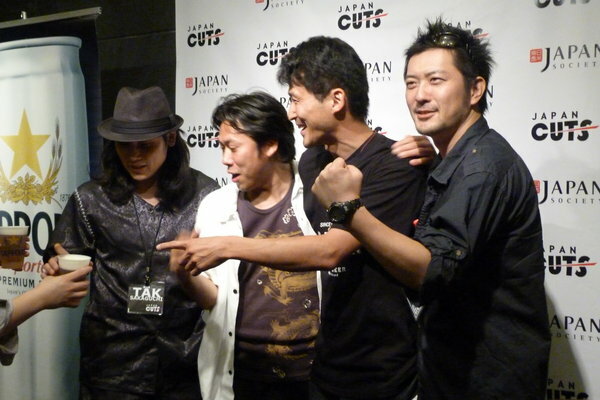 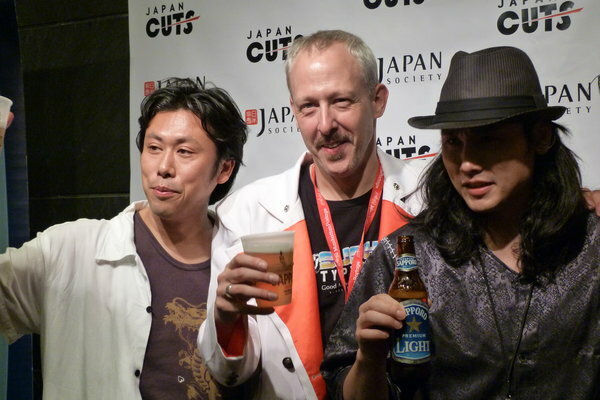 Extra bonuses for those attending the premiere included a faux onstage sword fight between Sakaguchi and Yamanaka; a 16-minute Yamaguchi-directed short film starring Sakaguchi that was a hilarious ode to Jackie Chan’s fight scene against Benny “The Jet” Urquidez in “Wheels on Meals”; and a Sushi Typhoon after-party that featured plenty of snacks and Sapporo beer. 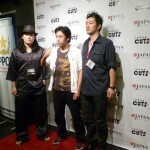 Check out more in our red carpet photos and video footage below. 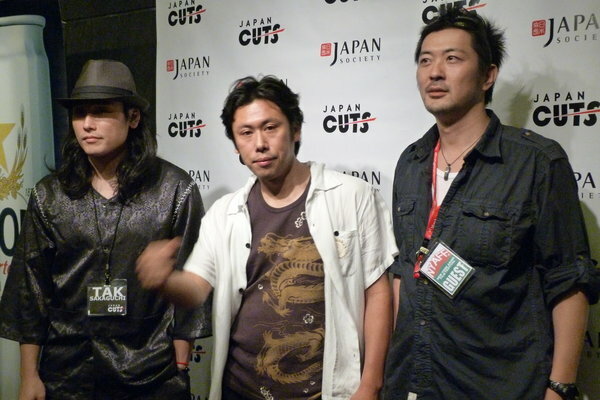 “Yakuza Weapon” screens at the New York Asian Film Festival on Tues., July 12, at 7:45 p.m. Sakaguchi, Yamaguchi, Chiba and Yamanaka are all scheduled to attend. 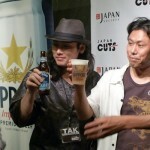 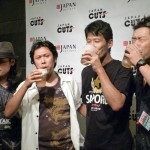 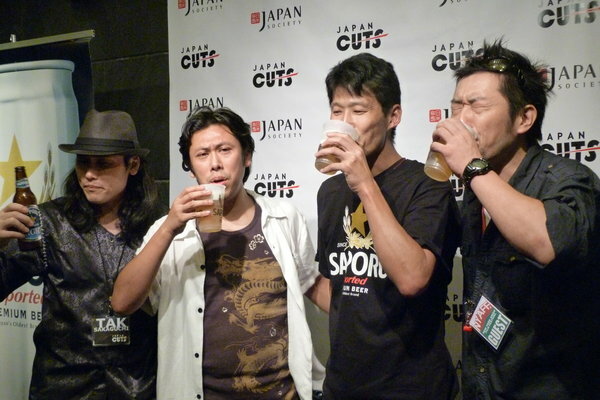 Sakaguchi and Yamaguchi will also attend the 5 p.m. screening of “Versus.” For tickets, go to filmlinc.com.